The Root Live: Bring It the Table returns Wednesday, Sept. 17, with a dynamic discussion about the cost of social activism. The Root Live, sponsored by Prudential, is a weekly video series tackling financial concerns in the African-American community. 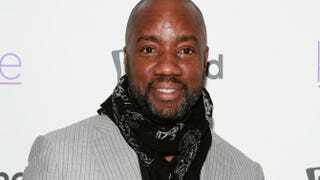 In the second episode of the series, The Root contributing editor and host Harriette Cole is joined by actor and social activist Malik Yoba (Empire, New York Undercover) and the acting national executive director of the National Action Network, Janaye Ingram, to discuss the financial resources needed to pursue social change. Yoba also discusses his lifelong commitment to activism, which began with the influence of his father in childhood. * managing your children’s financial expectations. To watch an earlier episode of The Root Live: Bring It to the Table, click here.